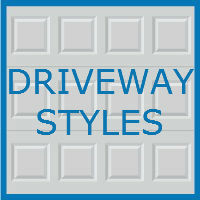 Blue Sky BuildersSkywriters Garage BlogConstructionWhich Driveway Style Should You Choose? Which Driveway Style Should You Choose? Driveway design may seem like an afterthought to many homeowners. Driveways, however, are very important. They play an major role in your overall home design, and the right driveway style can help boost your property value. With the variety of different driveway styles available today, deciding which option to choose can be difficult. You want a driveway that compliments your home and garage, will endure the weather wherever you live, and fits your budget. Below are a few important things to consider during your search for the perfect driveway, as well as a few popular driveway materials. Curb Appeal: When looking at your home from the street, your driveway makes a big impression. You need to choose a style that compliments your home, meaning that some styles may not be right for you. For example, for a farmhouse cottage style home, a gravel driveway may suit nicely, while a brick driveway may feel out of place. Weather: Your garage needs to stand up to the elements in your area, whatever they may be. If you live in a colder climate, consider asphalt, as it is great at withstanding cold temperature. If rain is a concern, avoid materials such as pea stone or gravel, as they can erode easily. Consider all elements including rain, humidity, temperature changes, and snow while making your decision. Maintenance: How much work do you want to be putting into your driveway in the future? A gravel driveway may require more gravel over time. An asphalt driveway requires resealing. Some styles may even require work from professionals. Additionally, consider the purpose of your driveway. Will heavy vehicles be using it? If so, some materials are more durable than others. Price: Like it or not, money plays a big role in most home improvement decisions. You need a style that fits your budget, but choose carefully. A cheap option, such as gravel, may be appealing, but may require expensive maintenance over time. A paver driveway, while expensive initially, often requires less additional expenses overtime. Consider both upfront and lifespan costs while making your decision. Concrete: Concrete is common for driveways across the country, as it can withstand weather and is typically inexpensive to maintain. Designs with concrete range from simple uncolored concrete to styles with added colors and textures. Gravel: Another very popular choice is gravel. Gravel is inexpensive to install, but does require significant maintenance over time. Gravel comes in different colors, allowing homeowners to choose a style that compliments their property. Asphalt: Asphalt is a popular choice, especially in the northern part of the country, as it is well suited to handle colder climates. Asphalt driveways are an attractive option, but do require resealing once every three to five years. Brick: Brick, while expensive to install, can be a real property value booster. The different colors and patterns available allow homeowners the chance to customize their driveway. Additionally, brick is inexpensive to maintain. Paver: Another great choice to boost property value is a paver driveway. Pavers are often rectangular shaped pieces of concrete, stone, clay, brick, or recycled materials. Expensive to install, pavers provide homeowners a real chance for customization, and can last upwards of 30 years with little maintenance. Your garage and your driveway are important pieces of your overall home’s aesthetic, so having help with major decisions is vital. 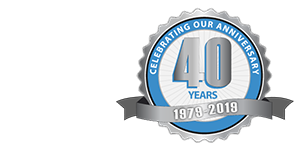 The team at Blue Sky builders is skilled in all things garage related and is available to help you with your project immediately. Call 630-852-8485 to get started with a garage specialist today, or visit Blue Sky Builders online to review the variety of services we offer. Do not make important garage and driveway decisions alone.